May 1st is traditionally known as “Law Day” in America, a day in which the rule of law is celebrated. It was officially designated “Law Day” by Congress in 1961. Law Day underscores how law and the legal profession contribute to the freedoms that all Americans share. 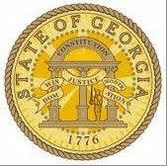 Georgia lawyers have already been holding events around the State to celebrate Law Day 2013. The State Bar of Georgia recently hosted hundreds of school children at the State Bar Center to celebrate Law Day in a program called “Realizing the Dream: Equality for All!” Below are my remarks for this wonderful celebration. Realizing the Dream: Equality for All! On behalf of the State Bar of Georgia, welcome to the State Bar Center and to these very special Law Day activities. We appreciate your being here and know you have come with an open mind for honest reflection and open ears to listen to everyone’s point of view. You are in the Bar Center of the State Bar of Georgia which, we believe, acts in and of itself as a marble reminder of the constant struggle for justice by Georgia lawyers on behalf of their clients and the citizens of Georgia. We are very proud of this place. We are also very proud of the 44,000 Georgia lawyers who make up the State Bar of Georgia. This includes lawyers who practice in our courts, judges who preside over disputes, public defenders to represent accused persons, prosecutors who enforce our laws and a myriad of other lawyers who get up and go to work every single day to promote the cause of justice and who every day move the needle of equality, liberty and justice for all a hair closer to reality. IN fact, you are sitting here today because of the rule of law in preserving your freedoms that you use every day but probably rarely even think about. I often wonder whether I would have had the same courage of the Dr. Martin Luther King, Jr., Congressman John Lewis, and other progressive Americans to stand up against racial inequality had I been an adult during the Civil Rights Movement. I like to think I would have been right there alongside the Freedom Riders, or walking across the William Pettus Bridge, but admittedly, it is daunting to consider risking one’s life for something you believe in. I like to think I would have done that. One of the most important social justice issues that presents itself to me now in my career is that of equality regardless of sexual orientation and I will continue to fight for social justice for all until that dream is realized. Although we have made much progress, we have constant reminders that we have to do better. For example, during a school’s recent visit to the Journey of Justice, a Bar employee saw a young African –American child looking at the photographs of the Past Presidents on the wall of the 3rd floor with his father who was there on the tour. The employee heard the young child say “There isn’t anyone who looks like us, Dad.” That hurts. We have over 10,000 children walk through that 3rd floor hall every year, and they observe, they notice, and I don’t want anyone of them to go home thinking the State Bar of Georgia doesn’t have a photo of a leader who looks like them. When the leadership of an organization is truly representative of the membership, the members more readily support the organization and are much more committed to it. I believe diversity in and of itself is a positive desired thing because it allows all points of view to be heard and considered. It makes one stop and reconsider the framework through which you view all issues and makes you actually take a minute and put yourself in someone else’s shoes before reaching any decision. Have we made strides in the last 20 years? Yes, without question. Are we at a point where we can simply declare that our work is done? Undoubtedly, no. We still have work to do. And it is your generation that will close the gap. It is your generation that will say “Enough. Enough discrimination, enough hypocrisy, enough subjugation of one group by another, enough hatred…simply enough. It is your generation that will say “enough” of that and replace it with love. Love of your fellow man, love of the rule of law, love of equality, love of justice. But like all worthy things, you must work for it. Dr. King said: Human progress is neither automatic nor inevitable… Every step toward the goal of justice requires sacrifice, suffering, and struggle; the tireless exertions and passionate concern of dedicated individuals. Today I hope you find that in yourself. This is comforting to keep in mind, but we must remain vigilant, especially when there are still “whites only” proms in Georgia and when some people still believe they have a monopoly on morality and the right to be married to the one they love merely because they were born heterosexual. The promise of equality under the law is what has made America a beacon to other nations. Fulfilling that promise – by promoting the cause of justice, upholding the rule of law and protecting the rights of all citizens – remains a work in progress. Thank you for your efforts today to help move us closer to the reality of liberty and justice for all. God Bless you and God Bless the Great State of Georgia.